One of the foods I dreaded as a child was the salmon patty. I think it’s safe to say that my taste buds have changed. Canned salmon makes the perfect frugal meal! Now I love me a nice salmon patty and I have to admit, I think this little guy in my belly does, too. I was craving a yummy salmon patty, so I had to whip up a batch. I have a few secrets up my sleeve to give you the perfect salmon patty. I can’t promise your kids will eat it, but if you like salmon, then you’ll love this. First of all, I like to buy wild-caught Alaskan canned salmon. Canned salmon is much cheaper than fresh or frozen salmon and it still packs a nutritional punch. The farm-raised stuff really isn’t all that great for you because of the genetically modified feed they get and the possibility of contamination, but the wild salmon is usually nice and healthy. We all know that salmon is packed with Omega 3 fats, and these are especially important for babies still growing in the womb. The Omega 3’s help healthy brains develop. Did you know there are other health benefits from salmon besides Omega 3’s? Salmon contains bioactive peptides that help our bodies reduce inflammation. Okay, so now you know why salmon is an awesome food. Here’s a yummy recipe to help you get some Omega 3’s and bioactive peptides! Bonus points if you cook your salmon in a cast iron skillet! 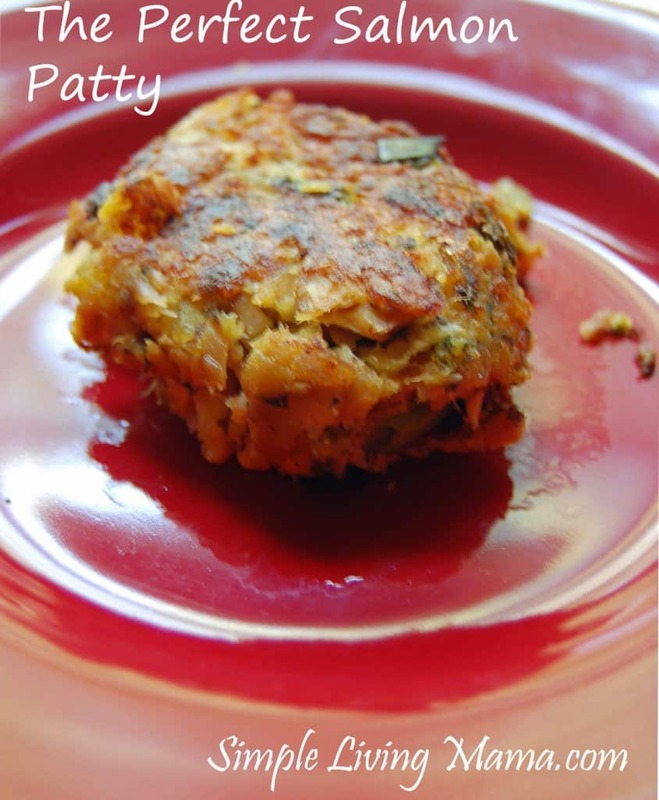 A perfectly delicious salmon patty recipe! 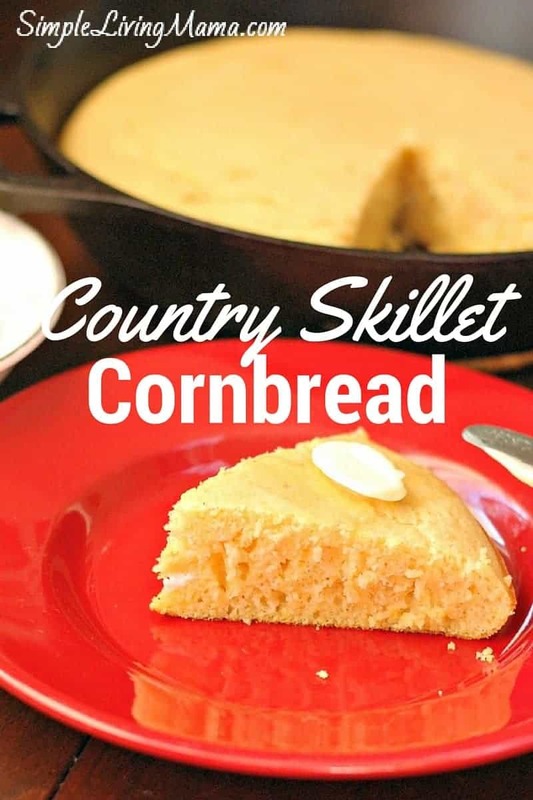 Combine all of the ingredients except butter. Use your hands to really incorporate all of the ingredients. Place the patties in the skillet and brown. Turn the patties gently to brown the other side. 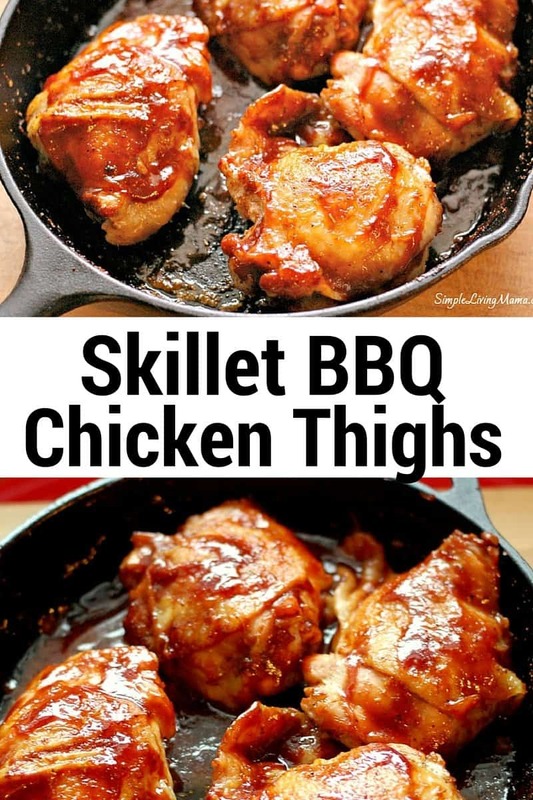 These are great with a squeeze of lemon juice and a little extra mustard on top. 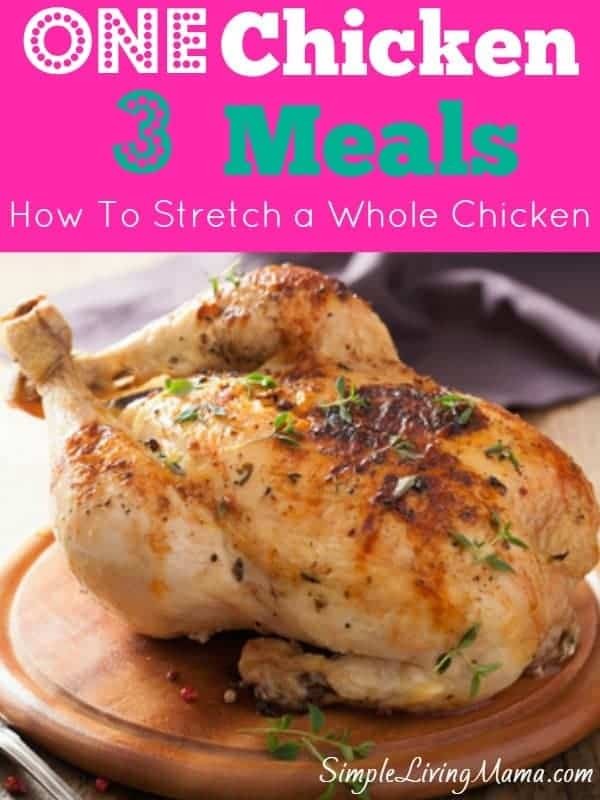 Want more frugal and delicious meals? Check out these recipes! Excellent patties. I used Dijon mustard and lemon juice. Good stuff.